The story starts out innocently enough. Girl gets BA in English. Girl meets Real World. Girl realizes Real World doesn’t want to pay her sh*t for knowing where commas go and being able to spot symbolism from a mile away. Girl decides she needs to go back to school and major in Something That Will Pay and Still Be Relevant By The Time I Get Out of School. This definitely crosses out Underwater Basket Weaving. Damn. Girl has recently married into an IT family. The kind of family that plays RPGs for fun on the weekends and takes their Zombie Apocalypse Survival Plan very seriously. (They determined they can use their participation medals from road races as weapons – either use the pointy bits on them or melt them down for ammunition. True story.) It’s not just knowing how to use computers. Being an IT geek is a Lifestyle. Considering Girl already quotes Monty Python, drinks Mountain Dew by the gallon, and has more books than shoes in her closet, she is pretty open to completely adapting this Lifestyle. In fact, she decides she wants to become A Developer. Only now they call them Engineers – Software Engineers, Systems Engineers, Programming Engineers. It commands respect and makes you sound really, really smart. Girl is totally ok with this. It also means people want to pay you lots of money because nobody really understands how the Internet works. Al Gore invented it for all they know. Actually, there is a difference between the Internet and the World Wide Web. The Internet is all the networks out there – between your computers at home, between machines at work, etc. The World Wide Web is one way we access the Internet, using HTTP. Yes, HTTP is not just what you put in front of a Uniform Resource Locator (URL); it means HyperText Transfer Protocol. Which is the ability to send cat videos at the speed of light. Wow. Her mind is already blown. Part of the reason IT people sound intelligent is from throwing around big words like Uniform Resource Locator for something that really means how to get to Google so you can Google that sh*t. If you wanna be in the know, you gotta know the 411 on the lingo. And push your glasses farther up your nose whilst throwing around acronyms the way ninjas throw stars. To keep people from s-s-s-t-t-tealing your s-s-s-s-tapler, one should hire security. Like a T-Rex. The Web Developer Cert at the local community college seems a completely reasonable way to go. Is it the school’s great reputation and high academic standings that make it so attractive? No. It’s WAY cheaper than going back to the state university, as tempting as it is to get student prices on basketball tickets for a several-times NCAA National Championship-winning team (#RockChalkJayhawk). Problem is Girl already works full-time. She did by all means defy the odds against English majors and get a full-time position with benefits, holidays, and her own private cubicle prison. 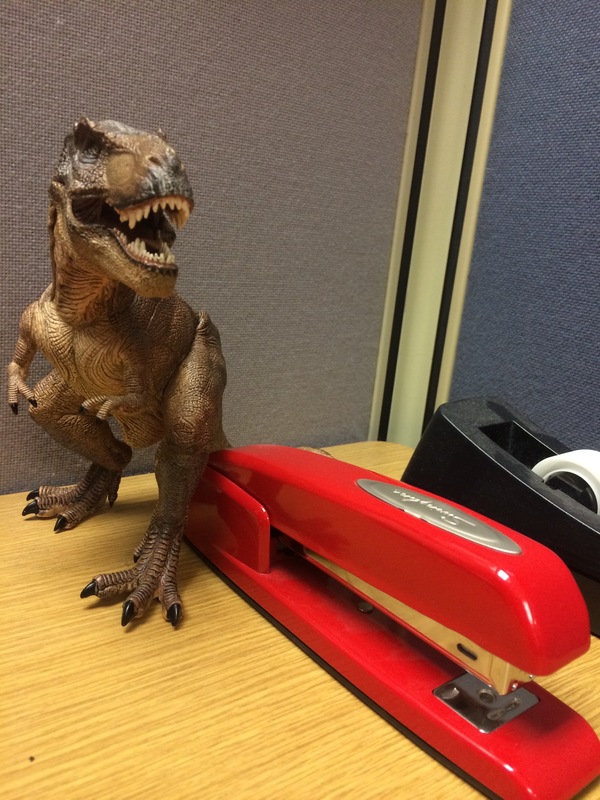 She even has the coveted Red Swingline Stapler. But QA can be very boring. It is a lot of testing the same thing over and over and sometimes trying to prove to the business side that a site is working correctly – the reason it seems it is NOT working is because PEBKAC (this acronym is for real). There’s not a lot of options for QA career-wise either – mostly you can choose between manual testing (QA clicks through the sites themselves) or automated testing (QA tells the testing software to click and check things on its own but then ends up doing it manually anyway because the automated testing software isn’t playing nice and freezes every 5 freaking clicks. True story). 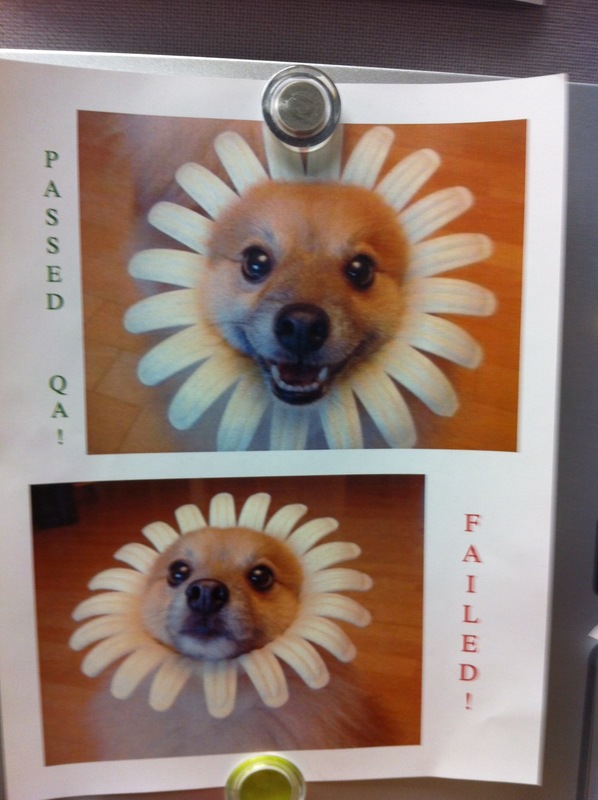 QA will test a ticket and pass it or fail it. If you want your ticket to pass, it helps to include Testing Instructions. True story. Developing has a lot more flexibility and career promise. There are so many different languages if you don’t like one, learn another. There are so many products you can program – mobile, applications, games, websites, the list goes on. And the salary pay is nice too. Really nice. She could become a Sugar Mama Engineer for her soon-to-be Gold Digger Engineer husband currently known as Systems Engineer formerly known as Server Admin and sometimes known as That Guy She Slept With to Get a Real Job (well, technically they had been dating awhile, and position opened up in a completely different department on the completely opposite end of the 3rd floor, but he did talk to the hiring manager to at least look at Girl’s resume which lead to an interview which lead to another interview which lead to a job offer proving that hard work and probably being the cheapest candidate can get you a job. Also if you do marry the guy who helped you get a Real Job, he can use his referral bonus to get you that Blinging Engagement Ring. True story). It starts out simple enough. Girl must apply to the community college and send her transcript from the state university so she doesn’t have to take math again. 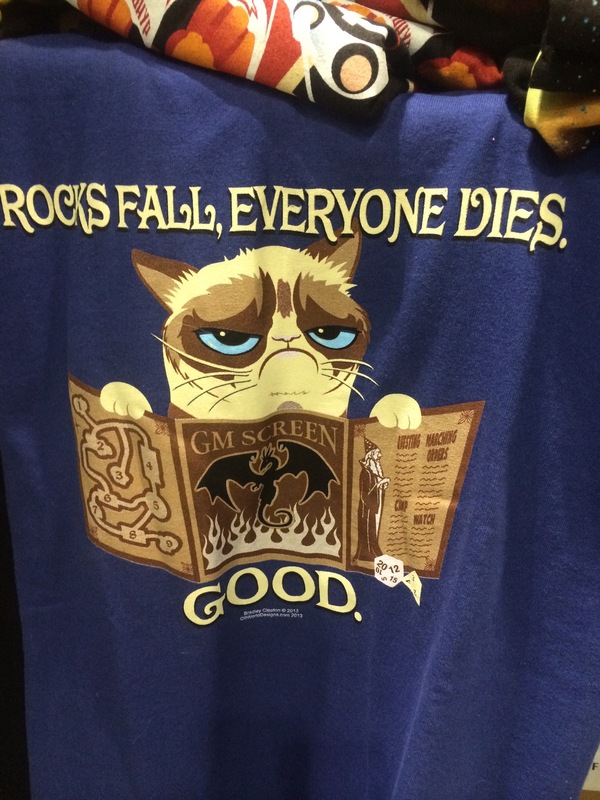 Because that would be terrible. To send a transcript costs money. Let us rephrase that. To EMAIL a PDF costs TEN BUCKS. But what the heck. $10 plus a extra $3 to track when the pdf is opened is a much better deal than paying to take freshmen classes again. The transcript is sent, and Girl tries not to think about how much Mountain Dew she could have gotten instead with that ten bucks. 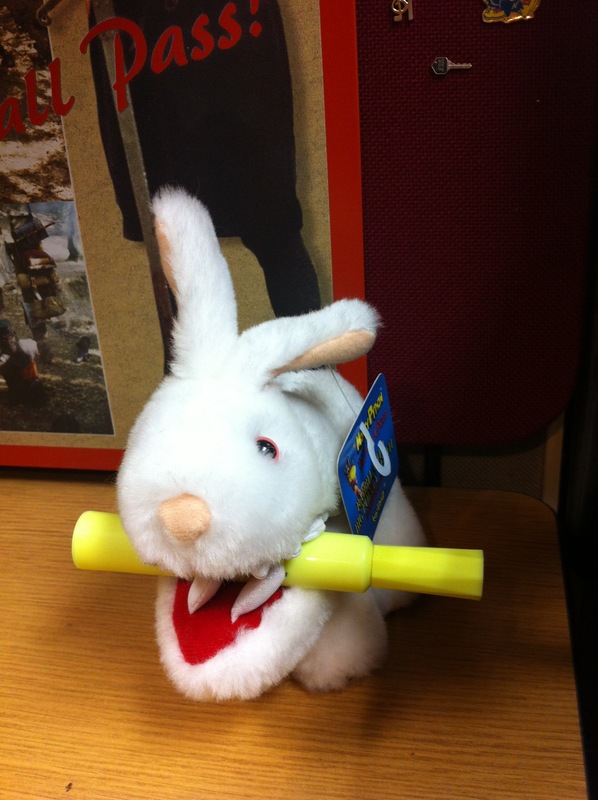 A webpage is like the Killer Rabbit. It looks cute but beware its hidden sharp pointy code teeth! Girl has her first class all picked out. In fact, it’s really the only class she can take first semester because it is the pre-requisite for all IT classes. Totally cool. Start out slow. A try-it-before-you-buy-it kind of thing. Although the transcript was Emailed and there soon after Read, it was not yet Entered into The System. By the time it is in The System, there are No Spots Left. She emails the professor because she knows from experience once people see the class involves homework, about half the class will drop it. A few days later, he emails her that ONE SPOT opened up in Programming Fundamentals. She quickly goes to the computer, enters the enrollment code, and VIOLA! She is on her way to becoming Developer of the Universe! We mean, the Engineer of Frustration. Did you think it was THAT easy to get back into college? You almost need a degree to decipher how to enroll in classes and figure out what classes to take. You also need to have Composition I to enroll in Programming Fundamentals. Are you SERIOUS? Girl has a BA. In ENGLISH. With HONORS. Of course she’s f*cking passed Comp I. In fact, she scored a 4 and 5, respectively, on two AP exams. She bypassed 3 level-100 English classes and went straight to 351 Fiction Writing I, Honors. Did we mention HONORS? 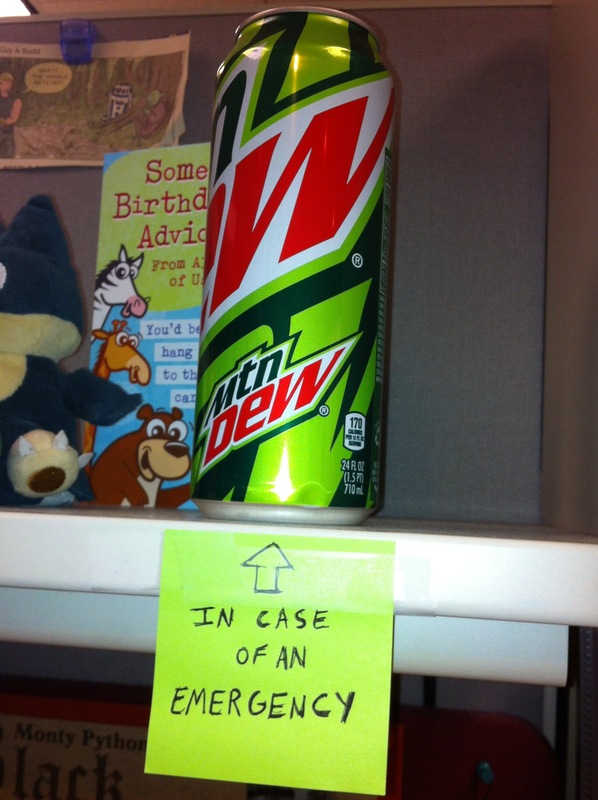 Mountain Dew: fueling academics and LAN parties since 1940. Girl calls the community college and explains the situation. They say they can really only understand this problem if she comes In Person and talks to a Counselor. Girl finds this ridiculous but has to get this Last Spot. So she goes to talk to the Counselors, which are like Apple Geniuses where it sounds like they know what they are doing but it’s just a fancy title. The Counselor says he Totally Understands. But it’s The System. It’s New. And it just doesn’t understand that she took Comp I because it doesn’t say Comp I on her transcript. But she can go upstairs and take the Reading Exam quick to show she is able to bypass Comp I. She will be DAMNED if she has to take a quiz to prove she can read good and do other stuff good too when she has a bloody degree in ENGLISH. Girl doesn’t understand why she wants to pay this college for an IT degree when it uses programming logic that rides the Short Bus. Is there no bypass code or override feature? 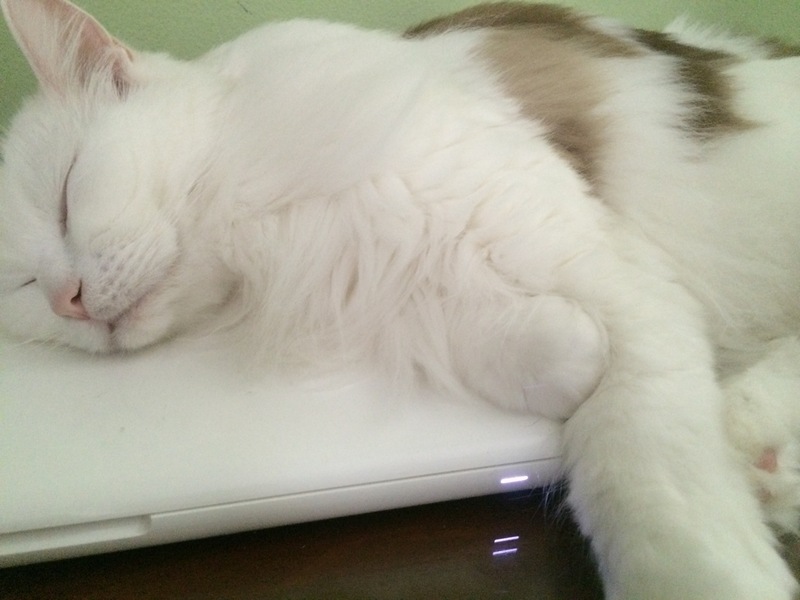 Cats: making the web a more entertaining place since Al Gore invented it. Meanwhile, Girl emails her professor that she is Trying to get into the Last Spot but The System is Too Stupid to realize she doesn’t need Comp I and the all-knowing Counselors told her to email the Head of the IT Department because he doesn’t have Enough Things to Do Already. The professor forwards her email to the IT Department’s admin assistant who rolls up her sleeves, pulls out her 20-sided dice, and must roll a Hell of A Lot higher than everyone else because VIOLA!. Girl now magically has permission to enroll in Programming Fundamentals. And so Girl is on her way to becoming a Super Coder. She is now itGirl. She doesn’t understand the camelcase yet, but soon she will. Achievement Unlocked: Beating The $#%! System. Posted on September 17, 2014, in Humor, IT, Session of itGirl, Web Developer and tagged Coding, community college, IT, Software Engineer, Web Developer. Bookmark the permalink. Leave a comment.